Clearly Contacts Celebrates Over 5,000 Glasses Donated to TFSS! 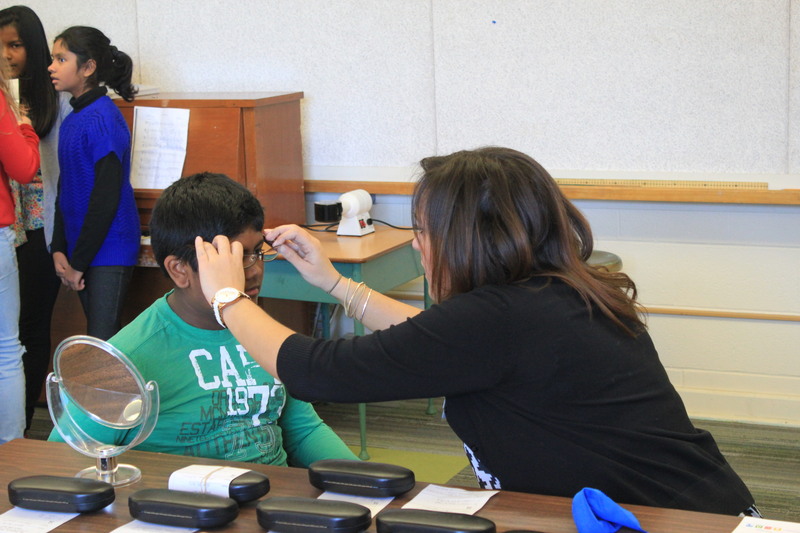 Every year in Toronto, over 25,000 children-in-need receive free vision checks in school-based clinics as part of the Toronto Foundation for Student Success’ Sprott Asset Management Gift of Sight & Sound Program. Thanks to Coastal Contacts Inc., the parent company to Canadian e-retailer giant ClearlyContacts.ca, every child-in-need who requires glasses receives them completely free of charge. 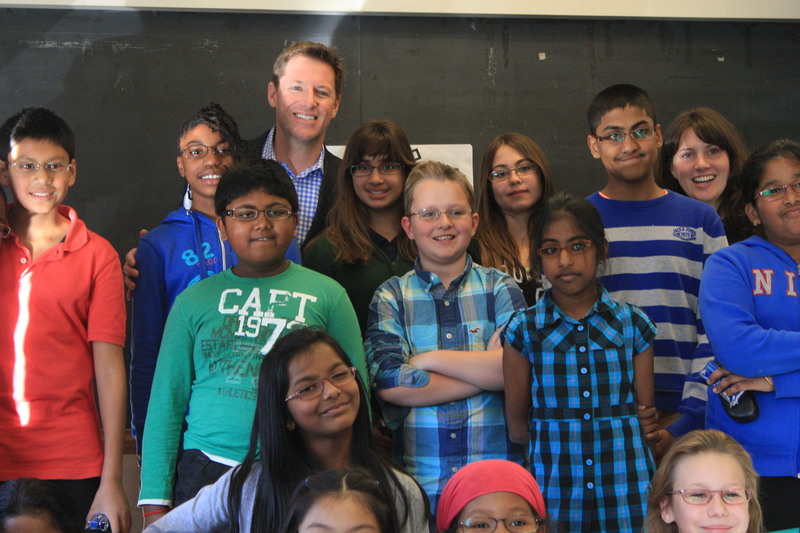 Since 2011, ClearlyContacts has provided over 5,000 glasses to needy children across Toronto and, on Friday November 29, Coastal Contacts CEO Roger Hardy came to visit Toronto for a tour of one of the Program’s dispensing clinics at Cedarbrook Public School, where students received their own glasses for the very first time. 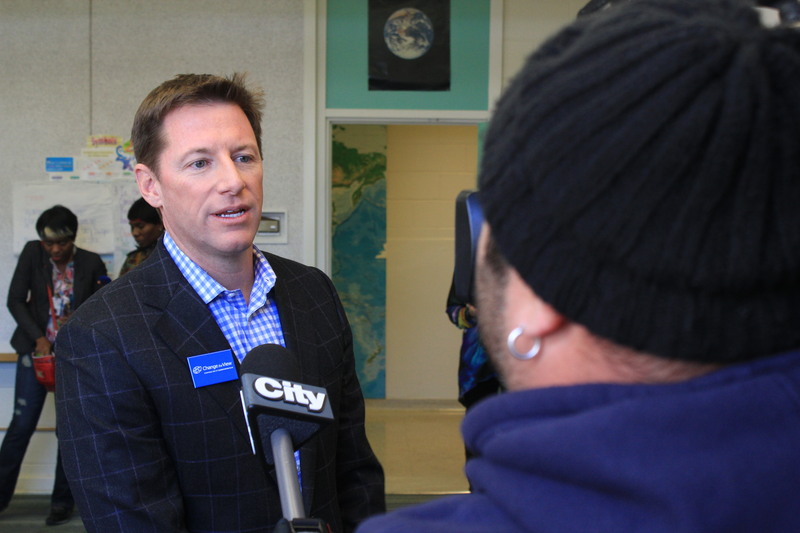 CEO Roger Hardy arrives at Cedarbrook and speaks to the media about ClearlyContacts.ca's work to help students in need. A student recieves his ClearlyContacts.ca glasses from a program optician. 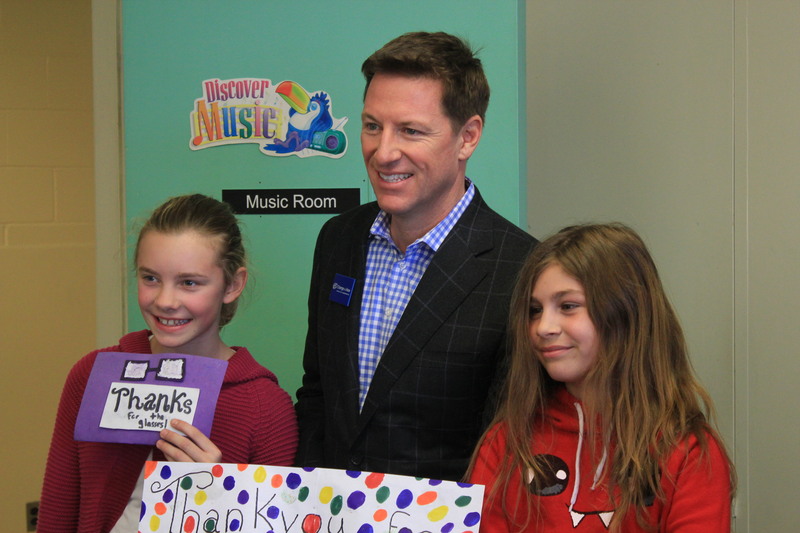 Roger recieves a personal thank you from two young students who recieved their first pair of glasses, thanks to his company's generous contribution. Roger poses with a group of students all wearing their new glasses! Many thanks to Roger and the ClearlyContacts.ca team! The Toronto Foundation for Student Success (TFSS) is the independent, charitable foundation of the Toronto District School Board (TDSB). TFSS’ mission is to remove barriers for children so that every child is nourished and able to learn. By providing food, medical care, emergency funds and after school programs for children in need, the Foundation helps them succeed in school.